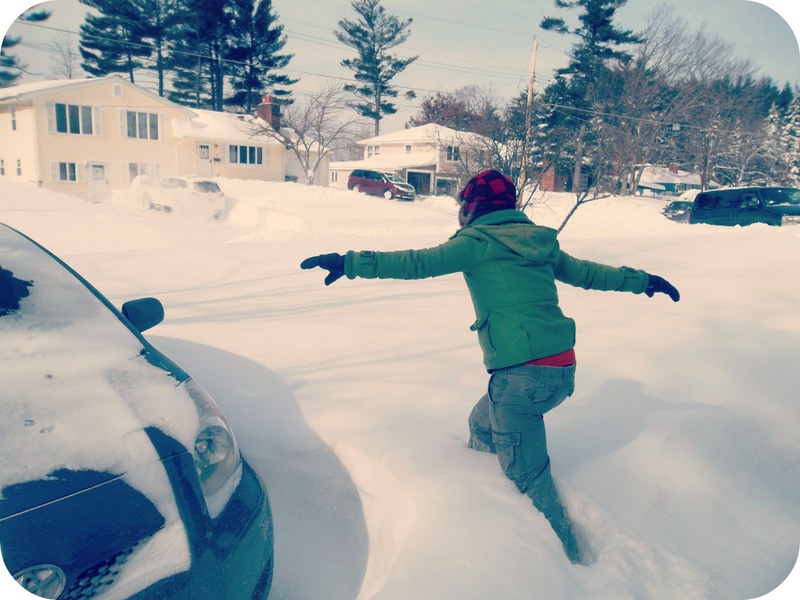 Nemo struck last night and this morning with extreme force! 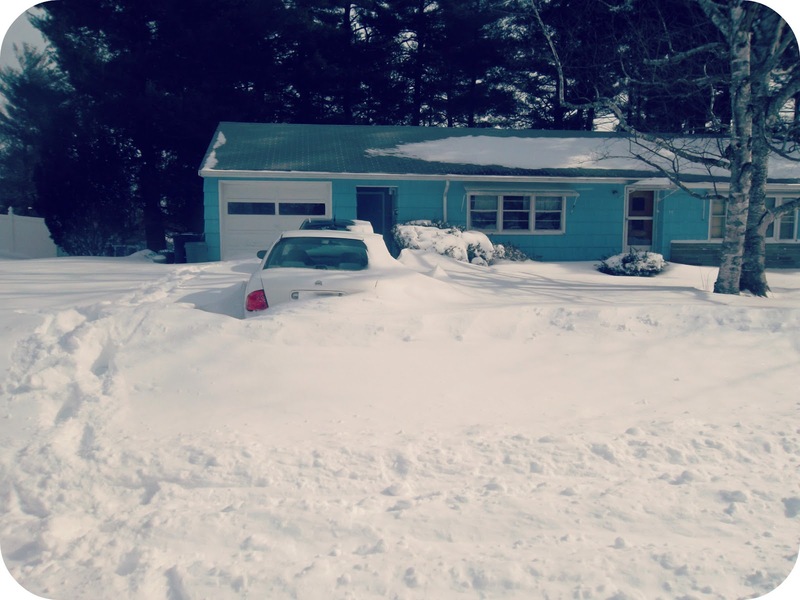 Originally from Tennessee, this was my first snow storm that was officially classified as a Blizzard. The snow was too powdery to make into snowballs or build a snow fort...believe me, I tried both. The wind was very strong and the snow was so light that snow drifts formed. The wind blew the snow around in big puffs and plumes, and it settled heavier against the side of our cars. You can see there's no snow on the top of our 1940s ranch home - the wind swept it all away, seemingly into our driveway. With snow like this, it's hard to tell exactly how much snowfall actually fell, but estimates are saying about 21 to 24 inches. 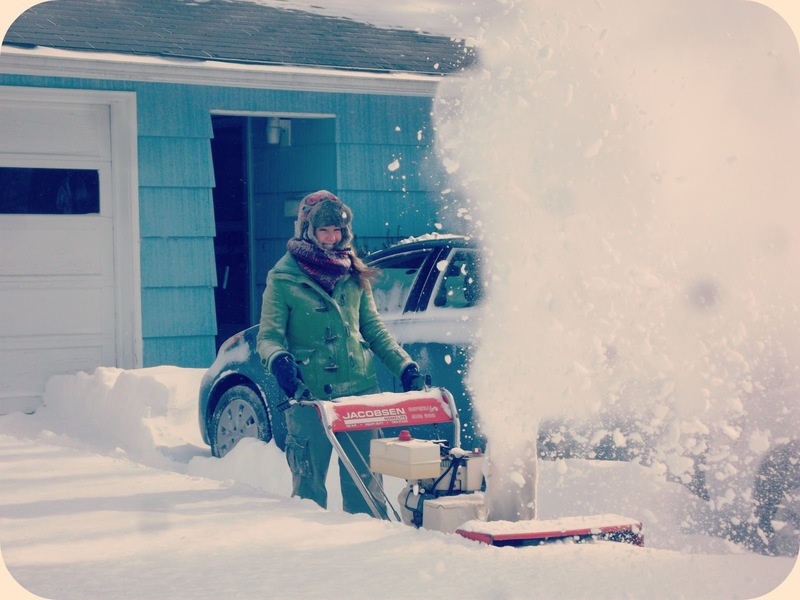 This is me learning how to use the snow blower. When the wind blew the wrong way, that cloud was in my face. It was kind of fun, but very cold. I'm rocking a Mad Bomber hat in red/black plaid, a handmade scarf, a jacket from Delia*s with Thinsulate, and some pants I've had forever. Lots of undergarments, including an amazing Llama Sweater from JessJamesJake on Etsy.